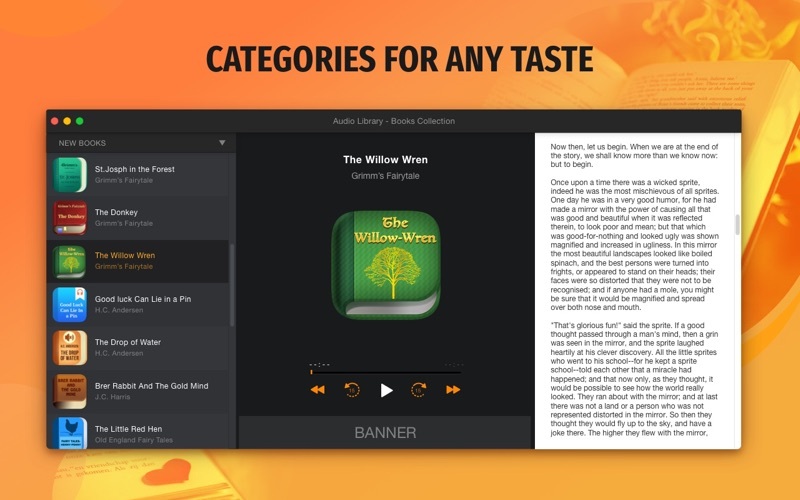 Audio Library Collection is an application that will help you find various audiobooks from various authors. The library is divided into multiple categories, from fairy tales to horror stories, so you could easily find the necessary book. 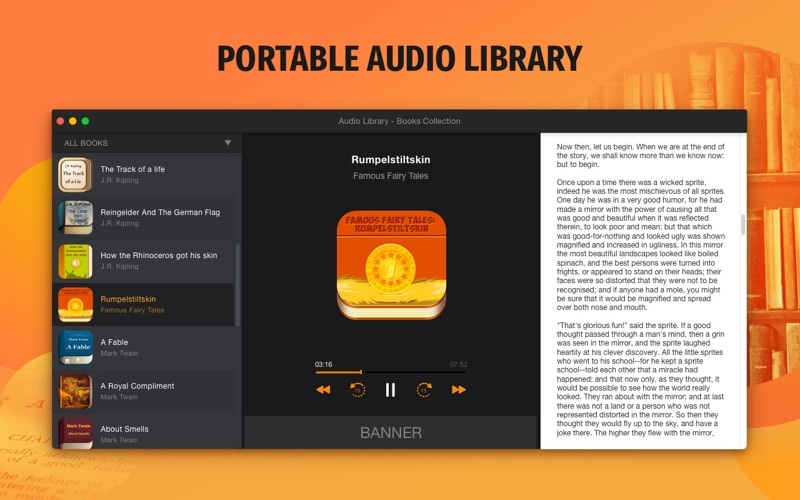 All audiobooks have a frontispiece and a brief description. Stay tuned for the new audiobooks because the library is constantly updating! Spend time with pleasure listening to great works of different authors. 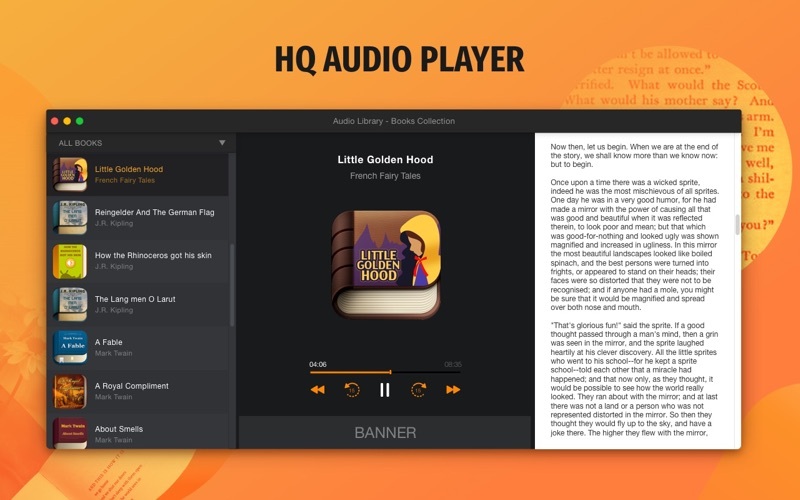 Audio Library Collection includes: - Great variety of authors and their works - Constant updates - Short descriptions - Downloadable audiobooks - High quality sounds If you can’t imagine your life without reading, then Audio Library Collection app is totally for you!